Classic Stephen King! Loved it! I have admired and loved his work over the years. 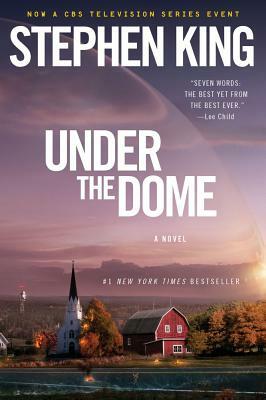 Under The Dome is another of his many books I have come to love. Many of his books have been made into movies. Hopefully this one will be made into a movie too. I am still reading the book it came to me in a timely manner and book was in great condition. Still in the middle, but so far a great book.Its hard to put the book down , but work calls. This book is a must have for King fans.